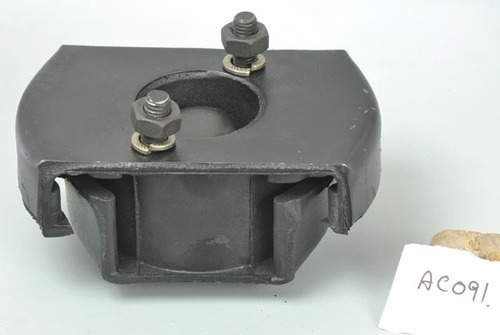 Owing to our vast experience in the concerned industry, we are offering a comprehensive array of Engine Mounting. The entire range is manufactured using high grade raw material and the latest technology by our reliable vendors. We offer the entire range in different sizes, dimensions and other relate specifications, designed to suit ever-evolving needs of our prestigious clients. Moreover, our offered range is rigorously tested by experts on well-defined parameters, in order to deliver a flawless range at our client's end. Incorporated in the year 2008 at Thane (Maharashtra, India), we, “Kamal Automobiles”, are engaged in trading, exporting and supplying a wide collection of Joint & Gear Parts etc. Our exclusive range includes Gear Parts, Joint Parts, Chassis Items etc. The offered range is manufactured using the premium quality raw material at our vendors’ end. Furthermore, our vendors make use of sophisticated technology and machines to manufacture these products, in order to meet the set international quality standards. These products are available for our valued clients in various specifications as per their requirements. Our high quality range is highly appreciated among clients for their fine finish, enhanced durability, corrosion resistance and reliable functionality. In addition to this, our esteemed clients can avail these products from us at the most reasonable prices.